The primary purpose of our work is to express an initial impulse or idea by a piece of jewellery with a clearly identifiable style that is interesting for the customer. It is also important whether we work from the beginning on request of a particular customer or if the particular piece is based on our own ideas. The first phase includes drawings on paper or computer-aided 3D designing. 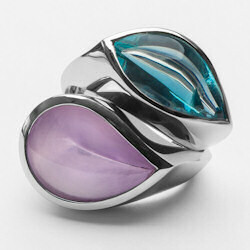 In case of more complicated designs followed by creating a wax model or a silver prototype. First we choose whether we will use traditional methods or technologically advanced ones. The traditional methods require knowledge of old craft techniques, precise use of tools, skills and understanding of the characteristics of materials. Mastery in the field is achieved after years of practice. One of the modern methods we use is casting which includes either hand or computer-aided 3D modelling of the jewellery of special kind of wax. The 3D models are then casted into precious metal by using gypsum moulds. 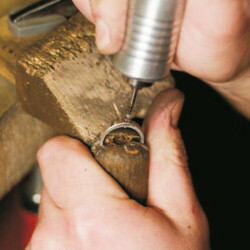 Enchasing of the gems is a very important part of jewellery making. This process is all hand-made, done in our workshop with help of microscope which enables great accuracy and precision. Although it has only become popular quite recently, platinum has a very rich history. Its name originates from Spanish word “plata” which means “silver”. People have known platinum for 4000 years, but its quality and value are recognised for a rather short time. The earliest records about platinum date back to ancient Egypt. South American Indians knew it before the Europeans came and used it pure or as alloys with silver or gold. When platinum had come to Europe in the middle of 16th century no one knew how to melt and use it (it melts at 1773 °C). It reached a peak of popularity at the turn of the 20th century with Art Deco style. Legendary goldsmith companies such as Cartier, Faberge and Tiffany used platinum in combination with big diamonds and other gems of extraordinary colour and size. 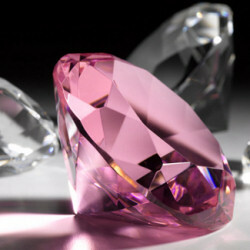 The most precious diamonds in the world – Hope, Jonker and KOH-I-NOOR - are enchased in platinum. 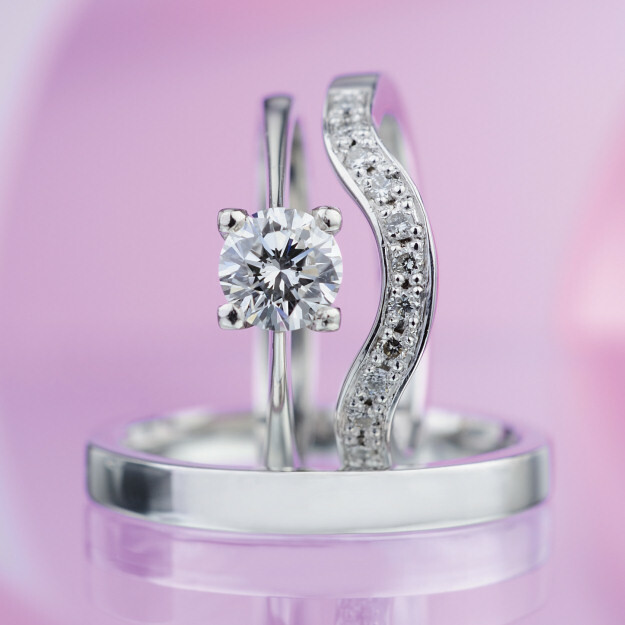 Platinum is hypoallergenic and chamically stable as it contains up to 95 % of pure metal. It is naturally white, never changes the colour and shines after polishing. It is heavier than gold by 60 %. It appears only in a few places on earth. Platinum mines are up to 2 km deep, it is necessary to extract and process more than 2 tons of ore to produce platinum for one ring. Melting temperature of platinum is 1769°C which greatly complicates the manufacture of jewellery from this beautiful metal. We can use platinum thanks to modern technology in the field of melting and soldering. 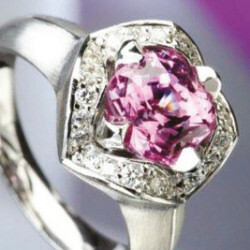 It is usually combined with exceptional and big diamonds and gems. Its white colour underlines glitter and colours of gems. 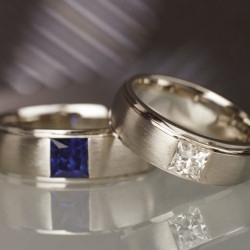 Platinum is twice as expensive as gold and therefore the jewellery made of platinum is very valuable. It is a trustworthy investment which may be passed down from generation to generation.